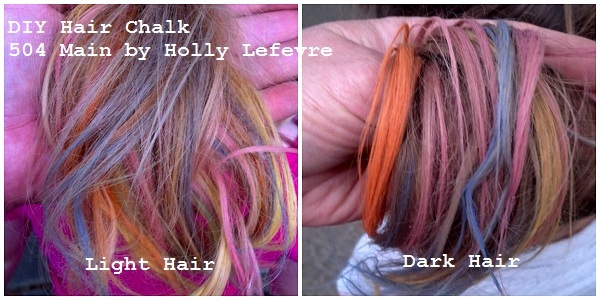 used hair chalk on my daughter (with permission of course!). Jules loved it - thought is was the best thing ever. I had seen the cans of spray on stuff...but the chalk thing was new to me. Of course I had to try it! I wanted lots of colors...lots of colors. Then I started think...why can't I just use chalk? 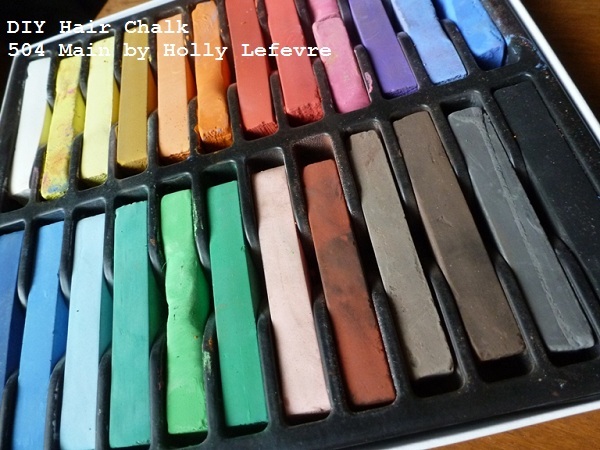 I had an art class flashback...pastels! all over and discovered this is a pretty simple process! I also ran across this video tutorial from HauteBrillance and it is really good! I do have to be honest at first I was hesitant. 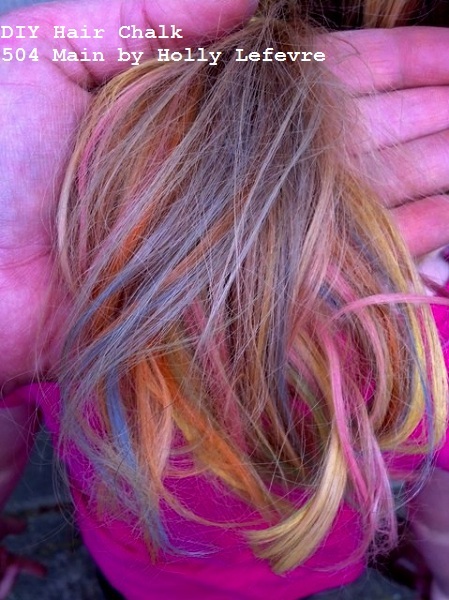 My daughter is almost 6....and I wondered if hair chalk was too grown up. and I am waiting for the comment that say they cannot believe I did this on a 6 year old. This lasts with good color for about 1 day (maybe 2). It may take 2-3+ days for the color to completely wash out. The pastels may discolor your clothing while you are applying it...I have not had it happen...but there is the possibility. Different hair colors look better with different colors - experiment. I did this on a blonde girl and a girl with brunette hair...both looked great. I have done this method 2x now! Once as the tutorial states and, last night we reapplied chalk to her hair...I washed it, applied the chalk; blew it dry and braided it for her to sleep in. In the morning we heat set it. Pastels (find them in the art supply section). Aaron Brothers has them and so does Michael's and other craft stores...best yet look for a coupon...A set of 24 at my local store was $10.99 and I had a 40% coupon...Yippee! I have also seen sets for as little as $5 without a coupon! Drape an old towel around the shoulders to protect clothing from the pastels. (Optional) Wear gloves if you do not want you hands dirty. I did not use gloves and it all washed off easily. If you need to, you can section off the pieces and secure with a clip. 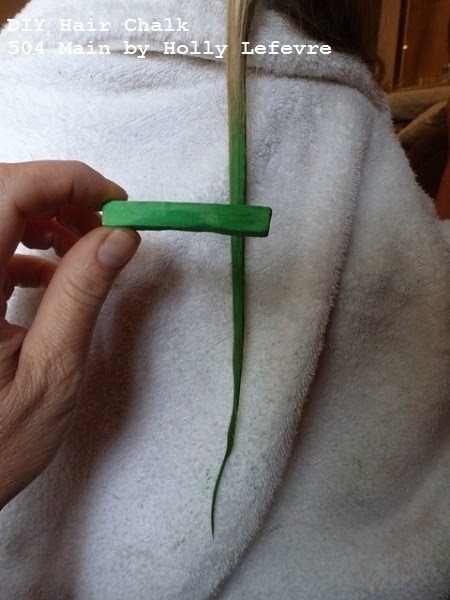 I found it to be quite easy to start on one side of the head and grab 1" sections (some were bigger, some were smaller). I flipped the hair to one shoulder and worked my way across. Select your color of pastel and working in a downward motion, begin to color the hair, from where you want your color to begin (top) through the end of the hair. You may have to go over the section 2-3 times (I also added some to the back as well). I alternated my colors randomly. 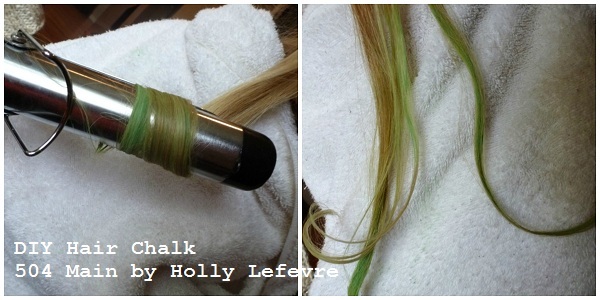 NOTE: If you go up and down with the chalk it almost teases the hair. By just going in one direction (down) the hair will be less "teased." Once you finish with your first section "move" it to the other shoulder and select another section...repeat as necessary. Once you have chalked all the pieces you want...the hair will most likely still be wet. Use a blow dryer and dry the hair thoroughly. 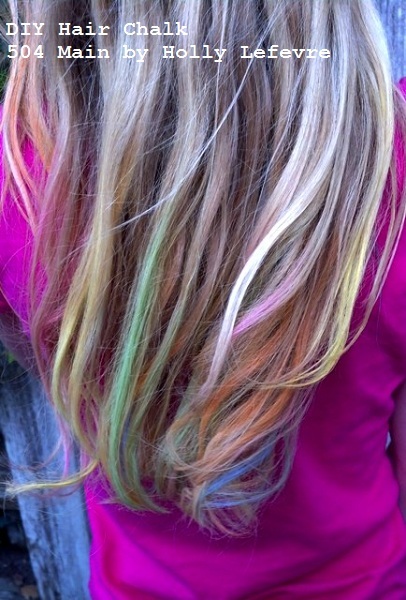 It is fun and actually kind of makes me happy when I look at the pretty colors in my daughters hair. I also may have told her that she is lucky to have a mom who likes to try crazy things! 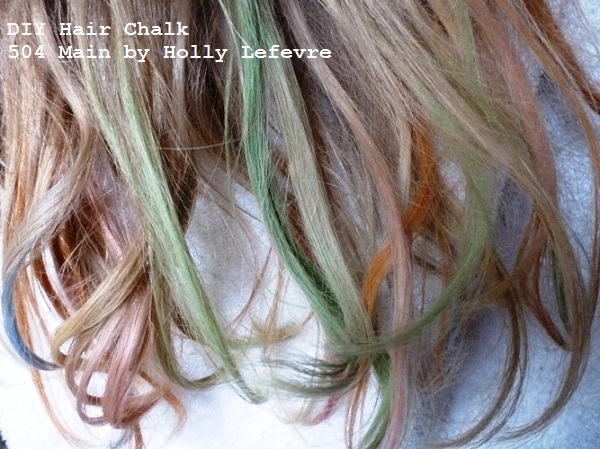 Would you try Hair Chalk? 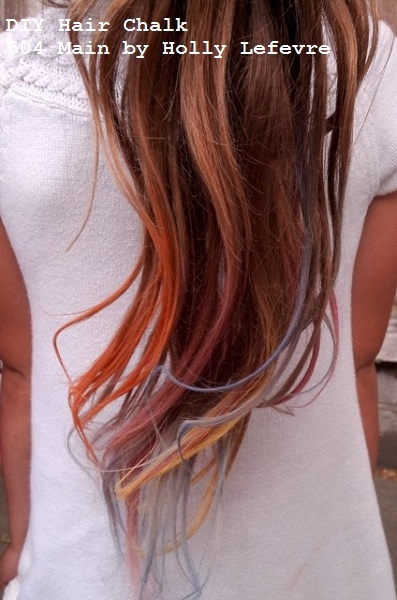 Your little girl is so cute and I think her rainbow hair just plain fun. It washes out, after all. Also, this way, she knows she can come to you and trust your judgement if she wants to do something "a little different." If you say it is not to be done, she will probably be more apt to trust your judgement and, hopefully, will make good, sound decisions based on your advice. I think it is really cute on your daughter. I like the pastel colors. Wonder how it would look on my white hair. Your little daughter is adorable! I can't wait to try this! I am thinking it would be fun at our school festival to raise money at a booth! This is so cool! 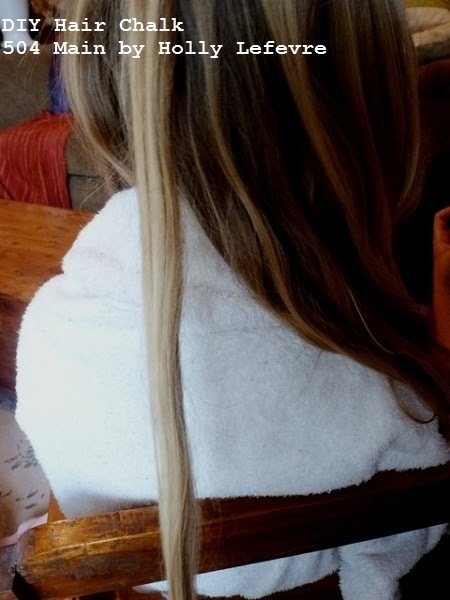 I love it!I am going to try it on my hair and also on a girlfriend's two little girls. I told them aunt Diann is coming over and we are having a girlie girl night! Thanks for the tutorial holly! 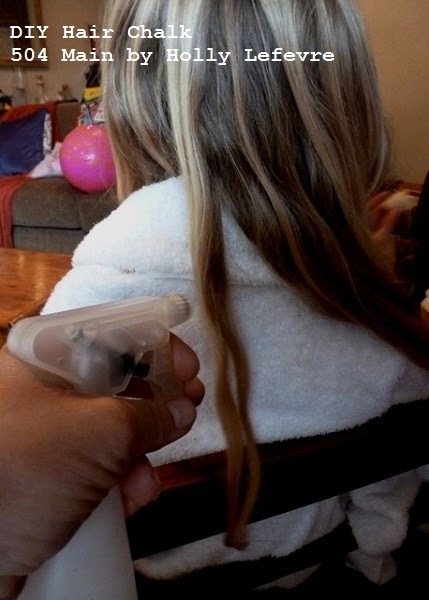 I was just thinking about doing this with my daughter and wondering how to do it. Lucky for me, you were on the same wave length! This is SO fun!! I can't wait for summer to officially be out of school to try this! Love all the fun colors! Actually, I have been thinking of doing this to my hair. I'm 60 and have white and grey hair. Thinking it might just be time to shake things up a little. How fun is that? My girls would love it! 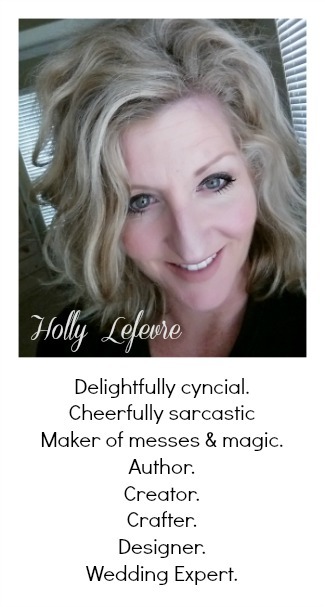 This came out really cute, Holly! 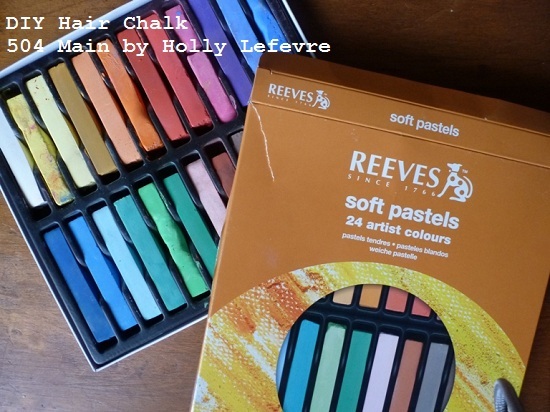 As a hairstylist I have a whole box of hair chalk in every color imaginable. They are so fun to play with. Awesome! It looks great! I was wondering though, do you think if i did black on my dark brunette hair that it would look naturally black? and also, how wet should the hair be before applying and would it be best to not put gel or anything on my hair before or after applying chalk? I think that black on brunette would just make th ehair appear darker. i did do some colors on brunette hair and they looked great but have not tried black. I have done this on relatively clean hair ( no gel or hairspray) but a little product probably should not affect the results much. I have read somewhere (but have not tried it) that is you use hairspray first, you d not need to heat set it after.